● A Bay Area native who is happy to be back to California after more than 15 years on the East Coast. 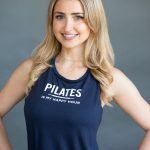 ● Trained at EHS Pilates in San Francisco, where she received her Balanced Body University Comprehensive Certification. 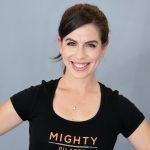 ● Strives to keep classes fun while ensuring you get a great workout and leave class feeling lengthened and strengthened.